Fortunately, there are some great tools that can help address those concerns. The Document Classifier turns your existing documents and associated keywords into a model which can be used to predict the most appropriate keywords for new blocks of text. What is the Document Classifier? The Document Classifier is an algorithm that brings the power of document classification to everyone. It does this by using word vectors and the doc2vec algorithm to generate a latent representation of a document. This latent representation (also known as a document vector) is then stored together along with other training data to create a document vector space, which is saved on our servers as a model file. After your model file(s) are generated, you can start making predictions! A prediction is done by comparing the unlabelled specimen document with a number of documents in the document vector space by using the K-nearest neighbor algorithm. • To train the algorithm, you provide documents (blocks of text), each of which is associated with keywords. • Later, you provide a new document, and it tells you which keywords are most likely associated with it. Does your team have a digital help desk? Just sifting through and separating customer feedback can be daunting, and is normally accomplished by forcing the user to create their messages via complicated and annoying support request tickets. With the Document Classifier, it’s possible to create your training dataset from your existing help desk data with little modification! Once you’ve trained a model, you can start making automatic predictions for each message — saving your organization time and money that could be used to improve your products. Have you ever wanted to create your own Alexa or Google Home? The result might be a bit different from conventional classification tasks, but the internal processing is essentially the same. With a dataset encompassing directions and actions, you too can build a chatbot that can automate communications for your team and clients. This algorithm has two modes: training and prediction. Before you begin, you’ll need to create your training dataset, similar to this example. 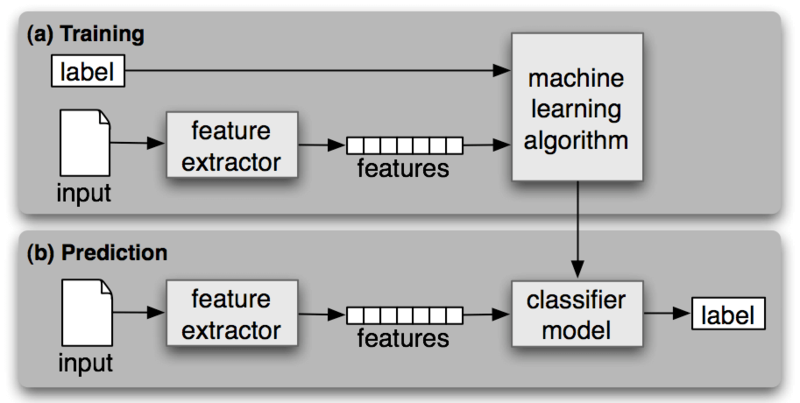 Once the training process completes, you’ll have a brand new classifier model that’s ready for prediction! "text": "Attention-based neural encoder-decoder frameworks have been widely adopted for image captioning. Most methods force visual attention to be active for every generated word. However, the decoder likely requires little to no visual information from the image to predict non-visual words such as the and of. Other words that may seem visual can often be predicted reliably just from the language model e.g., sign after behind a red stop or phone following talking on a cell." Want to improve your model on the fly? Just run the training step again, with new data but the same namespace, and it’ll augment your existing model with your brand new data! That’s it! With fewer lines of code than a good algorithms quiz, we’ve created a specialized document classifier that can be continuously improved and will automatically scale to match your organization’s demands. Start using the Document Classifier and become your company’s tech-savvy, timesaving hero!